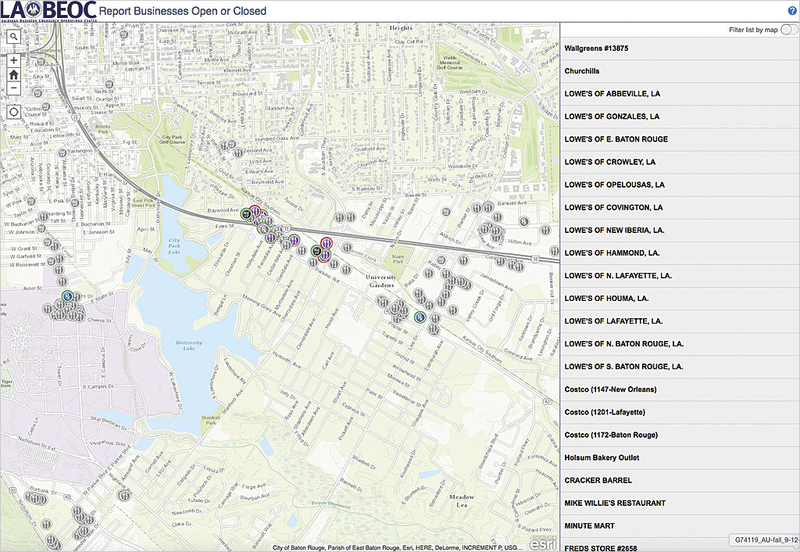 The Louisiana Governor’s Office of Homeland Security and Emergency Preparedness (GOHSEP) worked with the Louisiana Business Emergency Operations Center (LABEOC) and Esri to quickly stand up a web mapping app for updating and sharing the current status of businesses in flooded areas. The LABEOC Report Businesses Open or Closed app was developed by configuring the Crowdsource Polling app available from and hosted on ArcGIS Online. It was linked to the LABEOC website so businesses, members of the public, and people involved in response efforts could learn or update the status of restaurants, grocery stores, pharmacies, and other businesses. 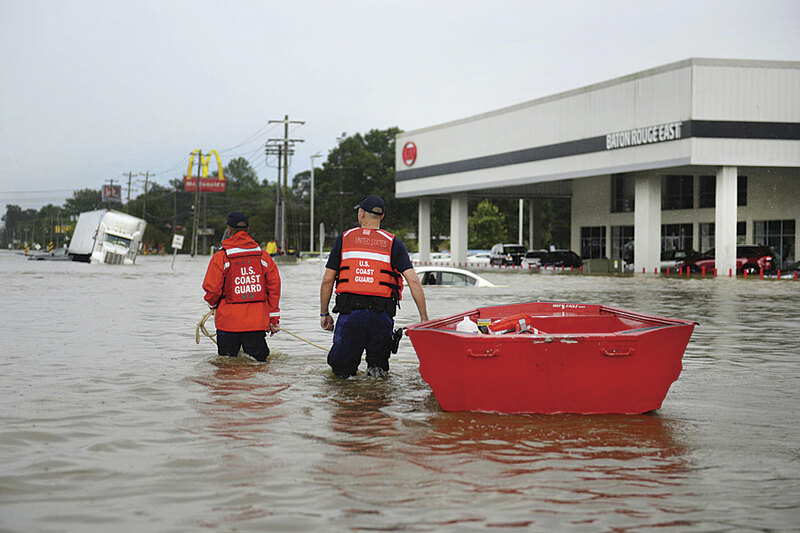 The LABEOC Report Businesses Open or Closed app demonstrates the growing role of GIS, especially ArcGIS Online, in supporting disaster response and recovery efforts. 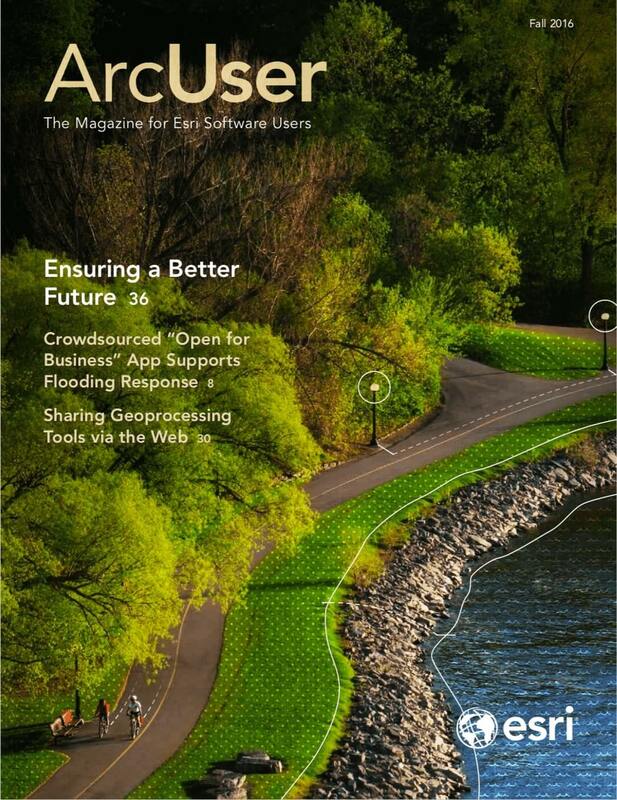 “A Platform for Coordinating Disaster Response” in the summer 2015 issue of ArcUser describes another instance of ArcGIS Online playing a vital role in assisting responders. Chi Smith, a GIS analyst at the California Governor’s Office of Emergency Services (Cal OES), who was involved in the Napa earthquake response activation, found the use of ArcGIS valuable in gaining and maintaining a common operating picture (COP). She is actively building an ArcGIS Online community for sharing incident data between government agencies before disasters occur and invites members of the GIS community to join the Cal OES ArcGIS Online Group. 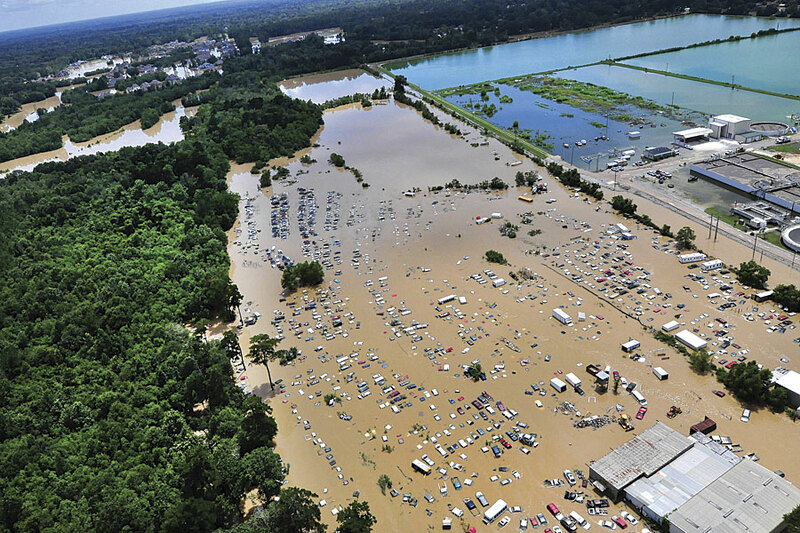 “In the future, we intend to continue development of both the concept and the capability and expand the reach of the application across the state as a normal function of the LABEOC portal and the state’s disaster response capability,” said Dunaway.